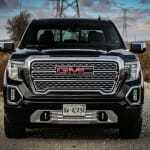 GMC’s Sierra Denali has enjoyed much of that success thanks to its long-standing reputation as a slight step above its Chevrolet-branded sibling and the Denali nameplate’s strength as a luxury brand. 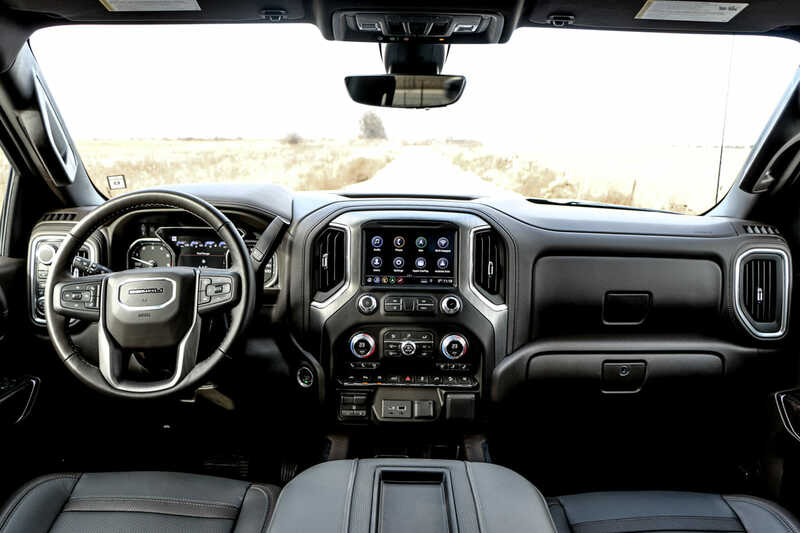 For 2019 however, Ram has launched a brand new truck, and its Limited trim is quickly earning accolades for a luxurious interior and comfort. 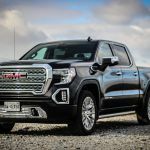 Combine the tough competition with the recent news headlines about GM’s closing of plants and it could be the perfect storm for the Sierra Denali at risk of losing market share. Fortunately for GMC, the latest iteration of the Sierra Denali is just starting to roll out, boasting many improvements over the outgoing 2018 model, and poised to go head-to-head with the competition. 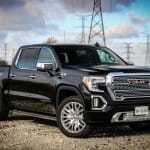 I spent a week with a loaded 2019 GMC Sierra 1500 Denali 4×4 to see how it would stack up. 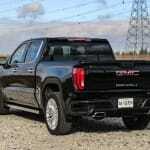 Now in-line with it’ competitors the Sierra 1500 is massive to look at, every dimension of the Sierra has been expanded. 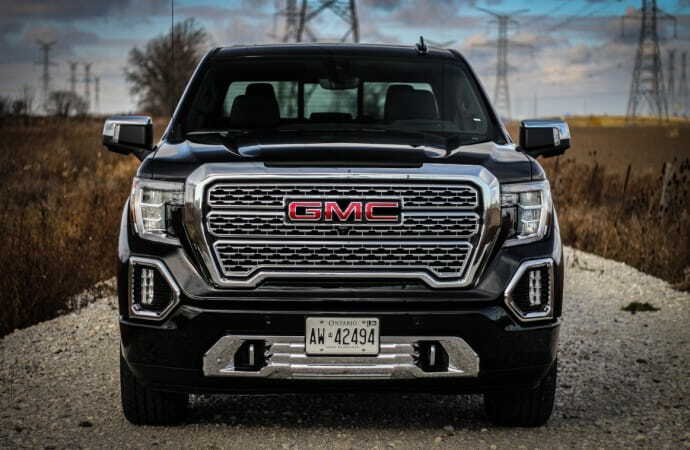 Combine the sheer size with the huge Denali grille, big chrome lower apron and prominent chrome trim, and the Sierra Denali has unmistakable presence on the road. 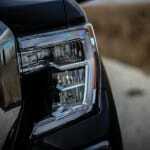 The chiselled lines and over the top flash give it the toughness and confidence associated with the Denali name. 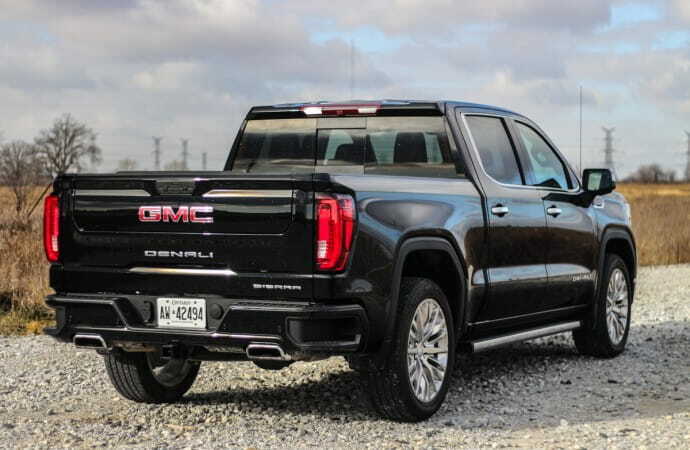 I am going to surprise myself here and suggest that this Sierra Denali, finished in simple Onyx Black and sporting the optional 22” chrome rims is the best looking pickup truck you can buy today. The interior has received a treatment very similar to the exterior; it looks and feels cavernous and unlike the outgoing model now has miles of head and leg room for both front and rear passengers. 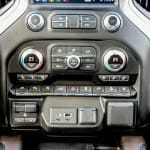 Unlike the exterior though, the interior does look very much like the sibling truck, the Silverado (reviewed here). 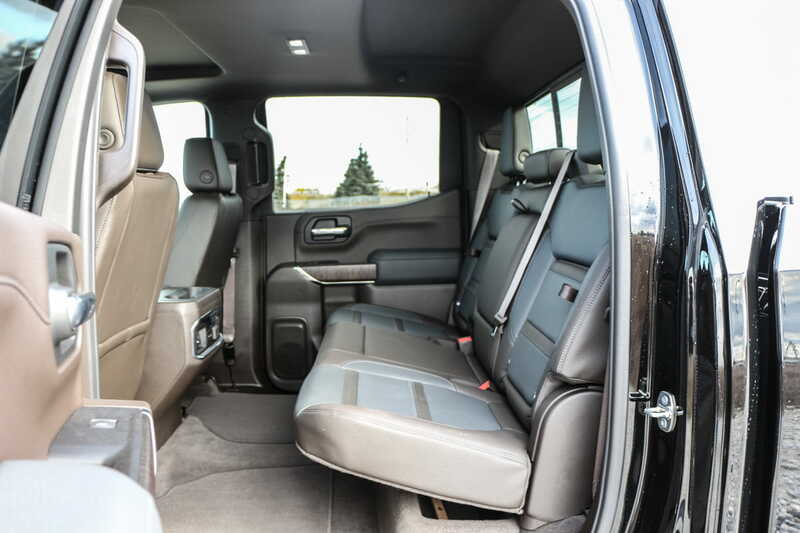 The perforated heated and cooled leather seats are easy to get comfortable in, and every inch of usable space has been worked into functional storage – like any good truck. 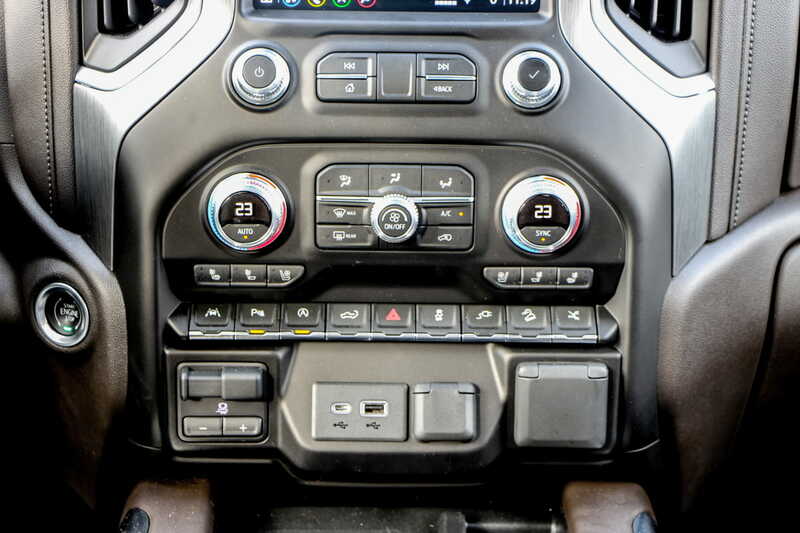 There are deep door pockets, two generous glove boxes, a massive center console storage bin, big cupholders and a large tray at the front of the center console that incorporates a wireless charging pad. 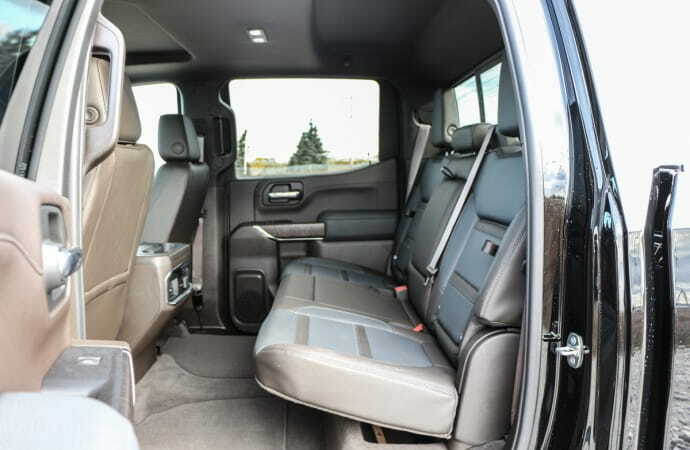 In the huge rear seat area the split bottom bench folds up to reveal more storage bins, and there are even secret storage bins built into the rear seatbacks. The rear seats are heated and obviously offer plenty of space; but they are not cooled, nor do they recline like the Ram Limited. The controls up front are contained to a leather trimmed dashboard that looks significantly taller than the prior version. It takes a bit of getting used to, but does provide the driver with a big commanding feel over the road. The controls themselves though seem to have gone backwards a bit in terms of ease of use and intuitiveness. Finding simple functions like the cruise control and windshield washer proved more difficult than it needed to be – even for someone very familiar with GM trucks. 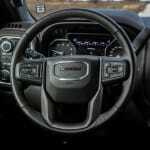 The gauge cluster has been updated with even more digital gauges replacing the dial-based gauges that run across the top of the cluster on the previous model. 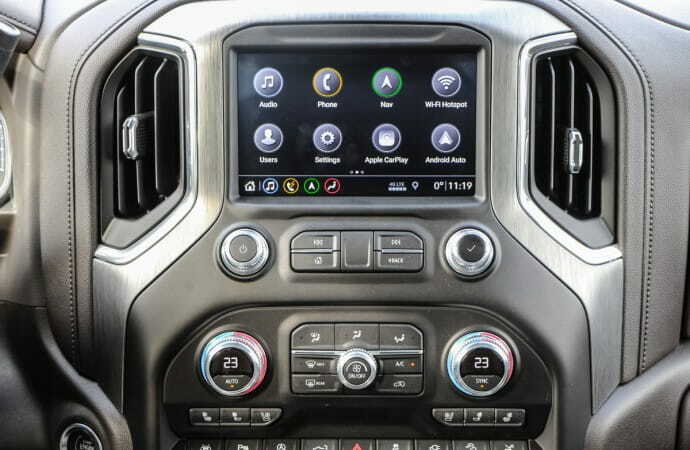 The infotainment screen isn’t the ridiculously large unit you’d find in the Ram Limited (reviewed here), but it’s adequate, runs Apple CarPlay and Android Auto, and has all the most popular functions accessible through real buttons. 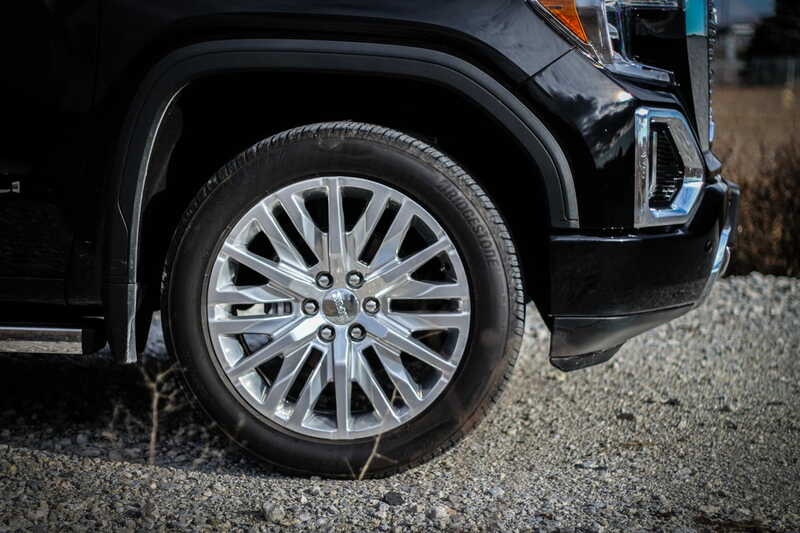 I wouldn’t say that the materials in the Denali are best in class, but they are very nice, as is the overall fitment, and generally the interior is worthy of the Denali luxury nameplate. That said, it lacks the detailed refinement and character that the Ram Limited’s interior delivers in spades. 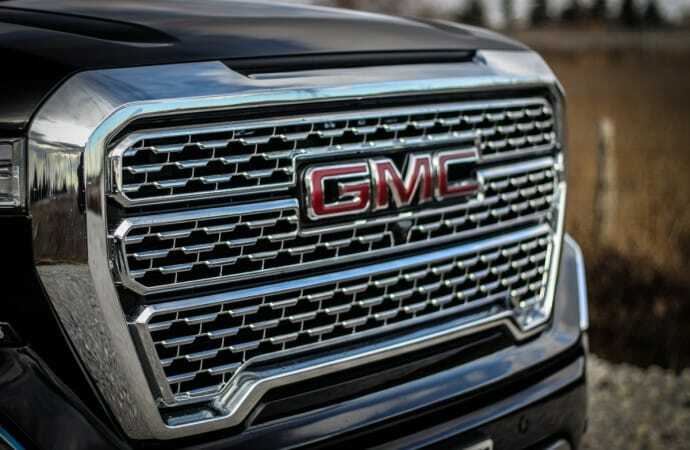 The real heart and soul of a good pickup truck is the engine; and that’s where GM has enjoyed a distinct advantage with its two highly regarded V8s. 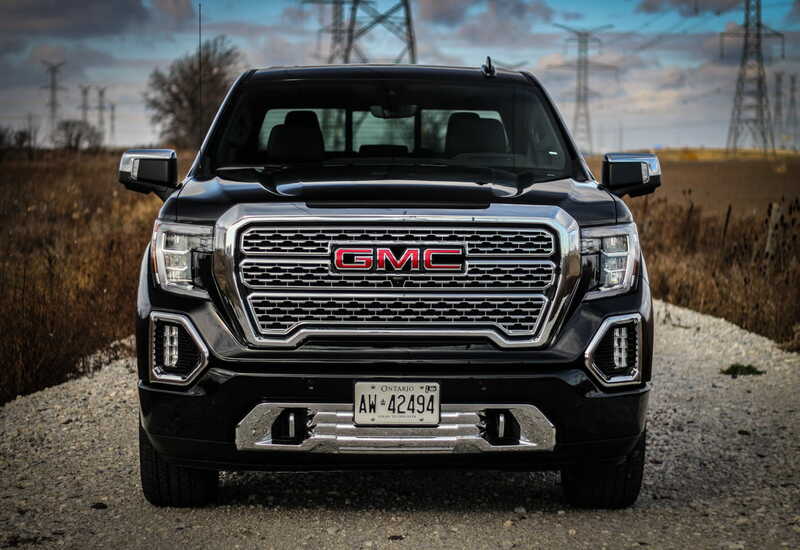 While the Sierra Denali is available with the ever-popular 5.3L V8, the motor that you want in a luxury truck like this is the 6.2L V8 boasting 420 horsepower and 460 lb-ft. of torque at 4,100RPM. Both V8s come with Dynamic Fuel Management, which seamlessly turns off four cylinders when they’re not needed to save fuel. The 6.2L comes mated to a 10-speed automatic, and the pair makes for a drivetrain that’s exactly what it needs to be in a modern pickup. Breathing through a dual exhaust with bright chrome tips integrated into the rear bumper the, big V8 produces a sweet low growl at idle and underload. 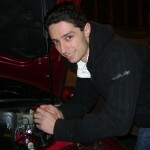 Throttle response is sharp, and shifts are quick, smooth and well timed. Most importantly though, the big Sierra has no problem getting out of its own way, and leaning in on the right pedal brings the big V8 to life in a surprising rush of smooth acceleration and grunt. 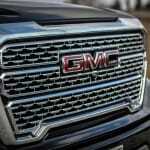 Where this series of GM V8 has traditionally surprised is in fuel consumption, and this is no exception. Over a week of rush hour commuting I saw an average of 14.0L/100km, pretty impressive considering the December temperatures and liberal use of the remote starter. 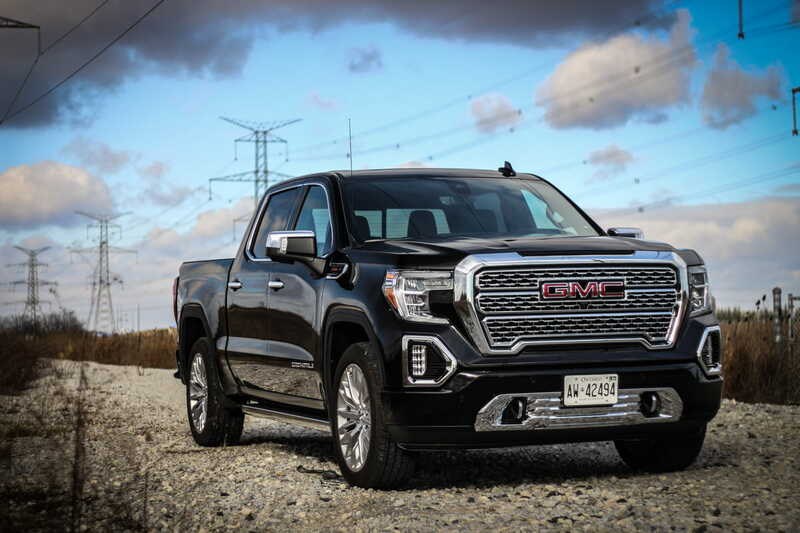 By comparison, the Ram with it’s significantly less powerful 5.7L HEMI averaged 14.5L/100km on the same commute, and the F-150 Limited with it’s 3.5L V6 averaged 14.1L/100km, both in summer weather. 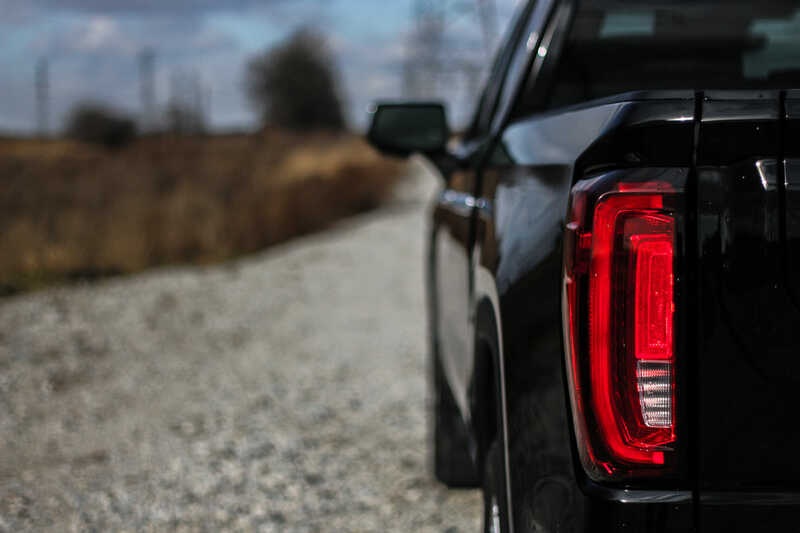 On the road the Sierra Denali’s Segment-Exclusive Continuous Damping Adaptive Ride Control does a good job giving the truck a ride quality that’s notably more comfortable than its contemporaries, but not quite a refined as that delivered by the air ride system in the Ram. The steering is heavily boosted, but feels linear and light, yet very confident and sure footed. 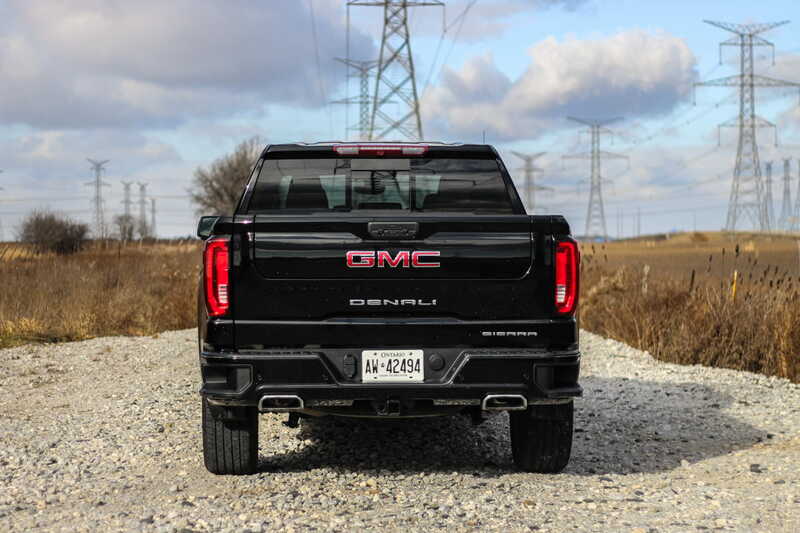 Truth be told, the Sierra Denali drives better than many cars or CUVs, stops with total confidence, and cruises the highway in nearly complete silence. 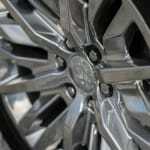 It is a luxury truck, and while not sporty by any means, the driving dynamics deliver on every note of the experience. 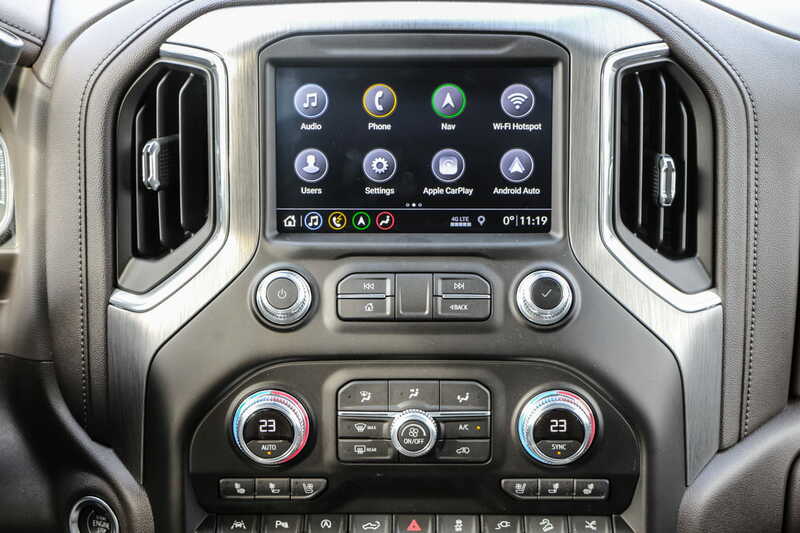 Speaking of luxury, the Sierra Denali naturally comes very well equipped with all of the gadgets you’d expect in a truck of this caliber. 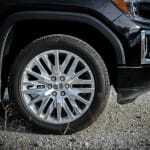 The truck’s starting price of $67,900 represents a 5.3L version with the eight-speed transmission. 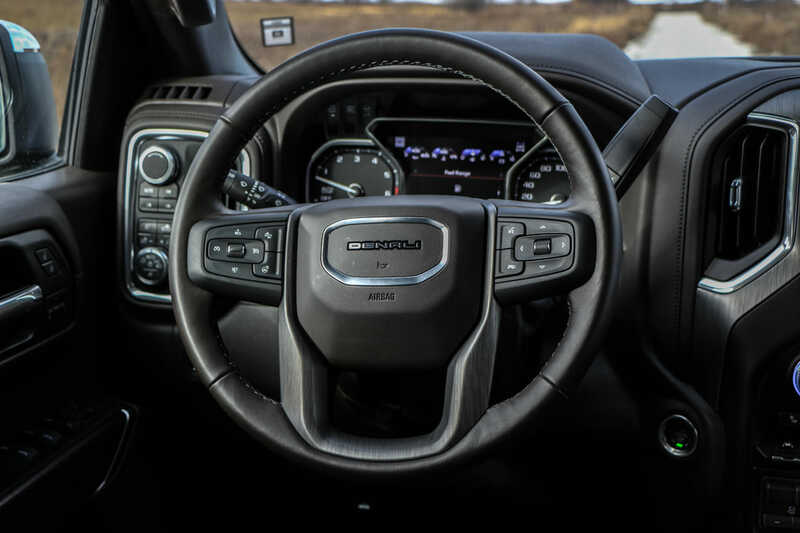 In base Denali configuration you get just about everything you’d want including heated and cooled leather, heated steering wheel, LED lighting, the eight-inch touchscreen, Bose sound, and more. Adding the 6.2L and 10-speed transmission combo adds a reasonable $2,895 to the price tag. 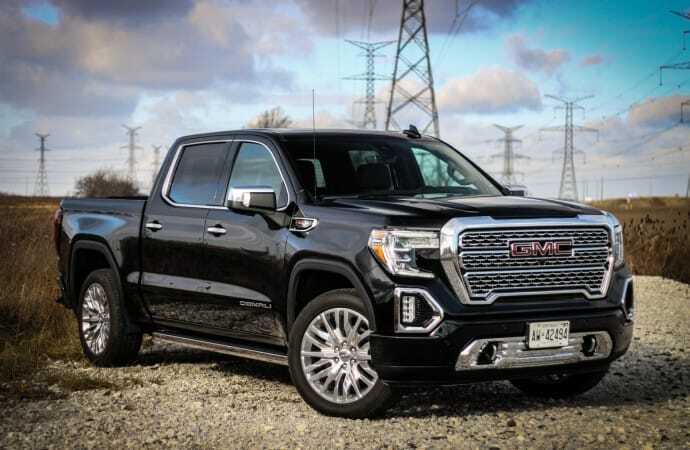 Now, if your $70,000 Denali doesn’t quite feel luxurious enough there is the Ultimate Package available for $6,095, which adds essentially everything available. 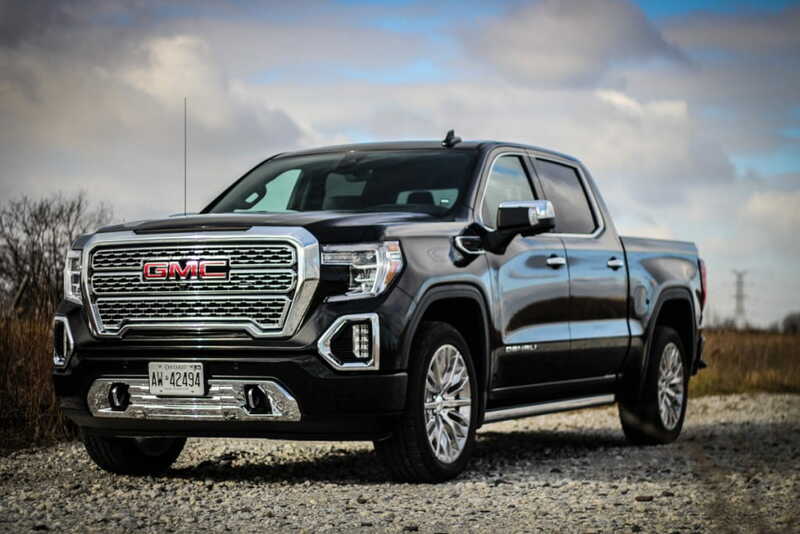 The list includes HD surround view camera, heads up display, upgraded driver alerts and collision mitigation, power sunroof, power side steps, the 22” wheels, and more. This brought the tested price of our Sierra Denali to $77,890, which is almost $8,000 less than the comparable Ram Limited. 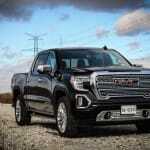 Considering the Sierra’s more powerful engine and fuel savings, that price gap is surprising. 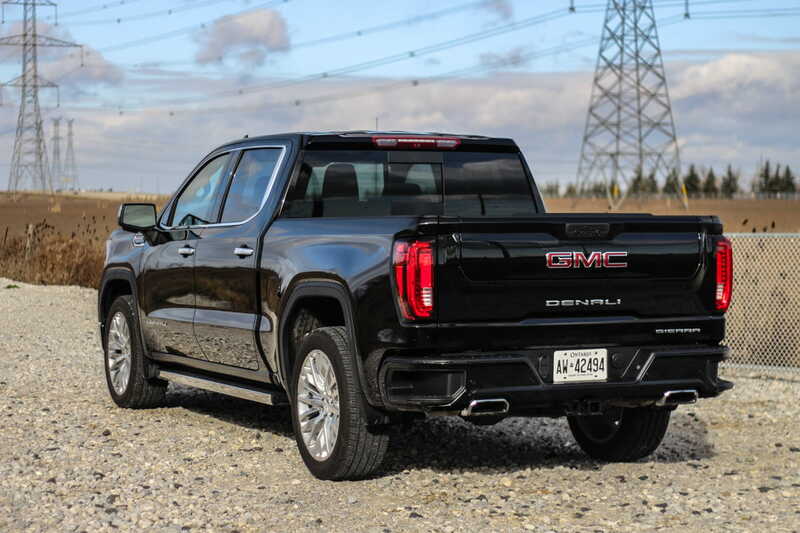 It doesn’t really end there though; the team at GMC has gone the extra mile to set the Sierra Denali apart from competitors, including its own family, with a few exclusive features. The new ProGrade Trailering System makes hitching easier for just one person and can even be integrated to an app on your phone. 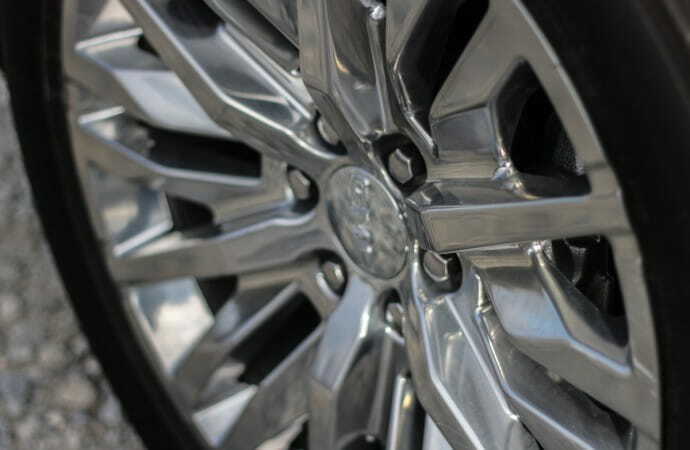 The technology aims to make trailering as easy and confident as possible, and with features like trailer tire pressure and lighting monitoring, the ability to save trailer specs to the system, and handy towing reminders, it’s a system that everyone from a towing pro to a novice would benefit from, especially with the truck’s 9,600lb. towing capacity. There is also the CarbonPro box, which is the first carbon fibre composite truck bed. It weighs 28kg less than the steel variant, and is said to be the toughest to date, not to mention the fact that it’s naturally rust proof! In the bed is a brand new Multi-Pro tailgate, which has six unique configurations designed to make life working with the Sierra easier. Functions range from a loading step to a standing work station and includes an integrated hidden speaker system. Putting it to use I found it to be quite handy; the ability to drop the mid section with the full gate already down to get better access to the bed is a huge plus while loading or unloading. 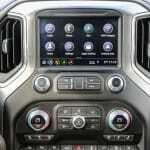 While these are great “nice to have” features, there are a couple glaring omissions from the Sierra Denali. 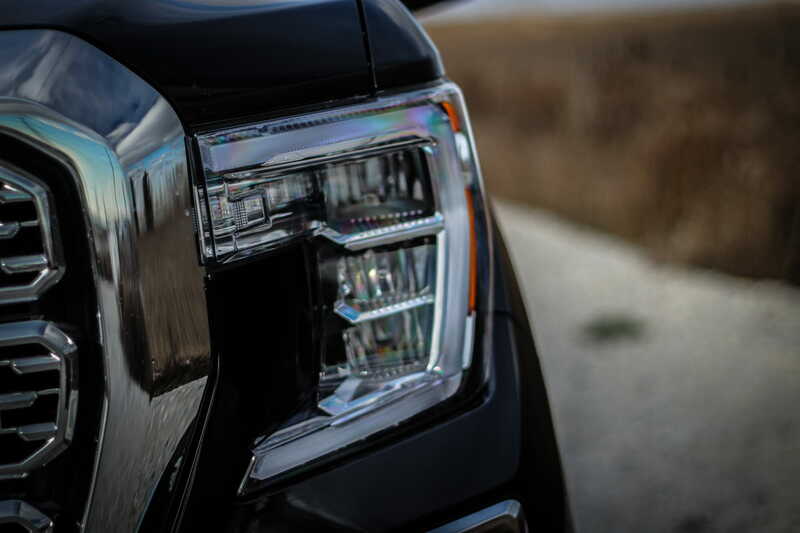 The first of these is adaptive cruise control, which is curious because the truck has all the distance sensors in place to enable the following distance display and forward collision mitigation. 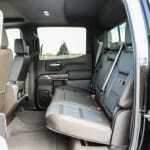 There is a sunroof, but it’s small compared to the full length panoramic roofs offered in the Ram and Ford camps. 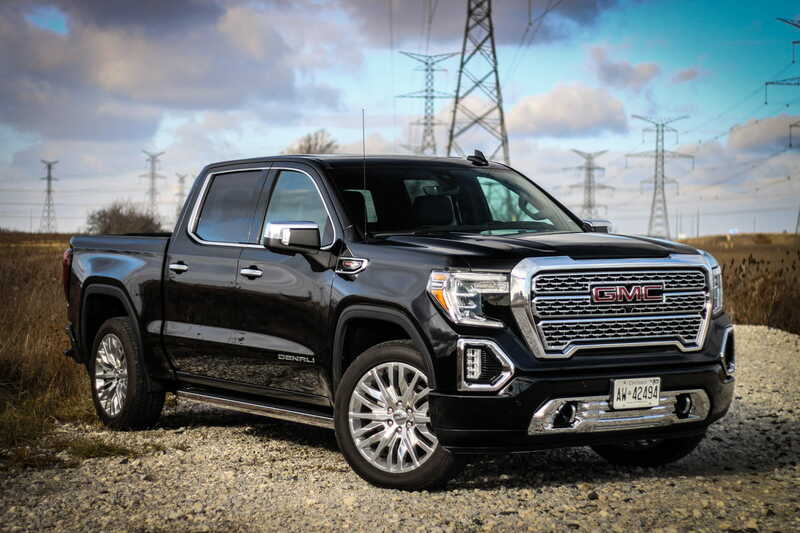 These two omissions, combined with the Denali’s slightly less special interior, could be enough to put off some buyers looking for the ultimate luxury truck experience. 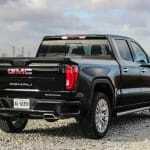 As a truck enthusiast, I’ve thought long and hard about whether I’d spend my own cash on a Sierra Denali or a Ram Limited. 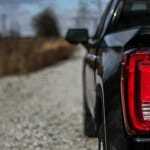 Between the two, the Ram wins the battle of luxury features and an interior that truly feels special. 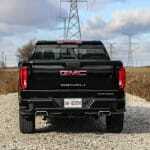 The Sierra offers more power, a more premium exterior look and the utility of the new technology. Lack of adaptive cruise control will hurt on the highway, but the $8,000 price gap is significant enough that I’d most likely make the local GMC dealer my first stop. 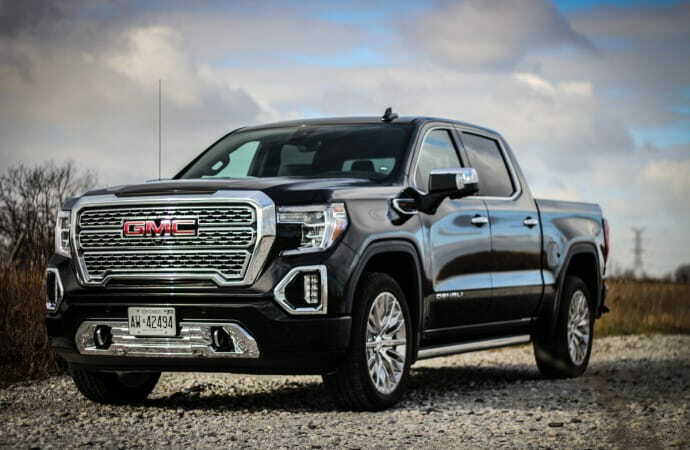 GM could’ve used this opportunity to take over the luxury truck market, and instead they might have played it a bit too safe, leaving shoppers with some tough calls to make.